This is one of my favourite side dishes to serve along with roast chicken, sausages or this time with Slow-cooked Spiced Pork Belly with Apples and Fennels. 1. Cook the lentils in enough water to cover them by 5 cm. Do not add salt at this stage as this will toughen the lentils. When they are cooked but still holding a small bite (about 20-30 minutes), drain the water. 2. Heat the oil in a large pan and sweat the chopped vegetables and garlic with the thyme leaves, a large pinch of salt and a grind of black pepper. If you opted for the wine, then add it now to the vegetables and let everything cook for another 5 minutes. 3. When the vegetables are nicely softened, add the cooked lentils and a splash of water to stop them sticking to the bottom of the pan. 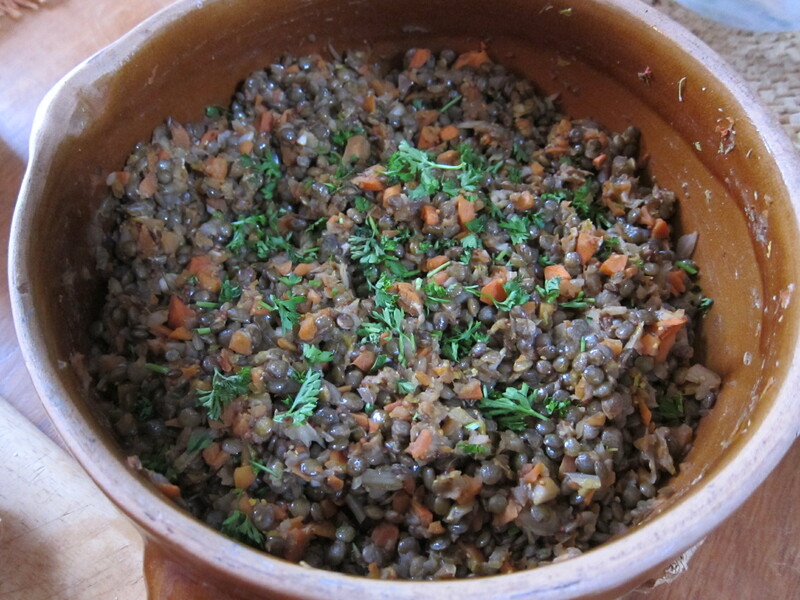 Mix the mustard and the chopped parsley into the lentils, check the seasoning before serving. 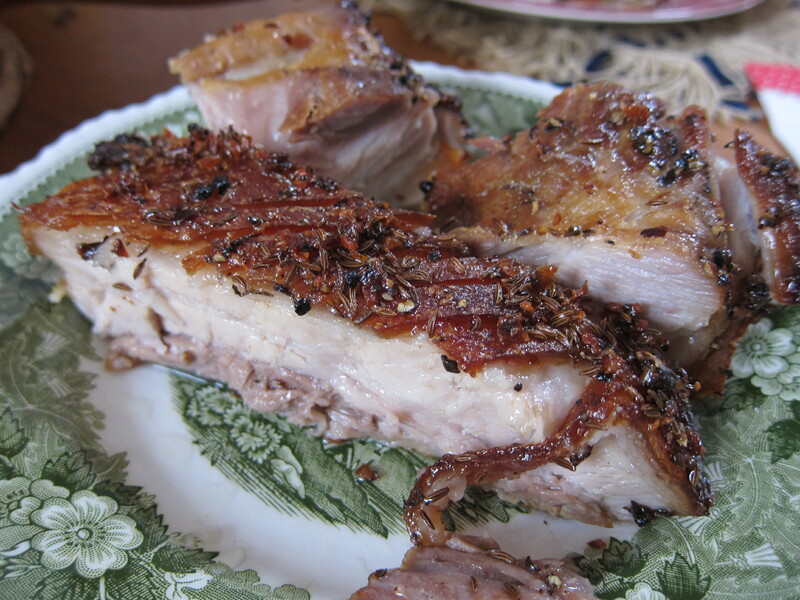 You can use a shoulder or leg joint of pork but I prefer to use pork belly for this recipe. I don’t eat pork very often at all but if I do, this is one of my favourite ways of cooking it. It is so succulent, has a perfect crispy topping, packed with delicious aroma and melts in your mouth. 1. Combine the fennel and caraway seeds, garlic and 1 tablespoon of salt in a mortar and pound with a pestle. Stir in 1 tablespoon of the olive oil. 2. 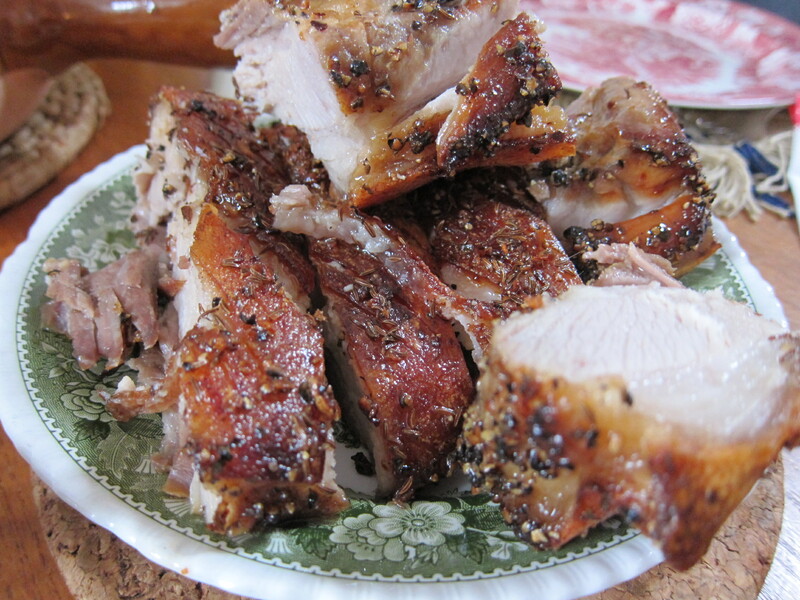 Cut 1/2cm deep incisions, spaced 1-2cm apart, across the skin of the pork. Rub the spice mixture into the incisions and let sit for 1 hour at cool room temperature. 3. Preheat the oven to 140C. 5. Put the remaining oil in a bowl and season with a little salt and pepper. Add the chopped apples and the fennel bulbs with feathery tops to the bowl and, using your hands, toss until evenly coated in oil. Thirty minutes before the end of the cooking time, remove the pork from the oven and arrange the apples and fennel in the tin. Increase the heat to 220C and return the tin to the oven. 6. Remove the pork from the oven, cover loosely with foil and let rest for about 20 minutes. 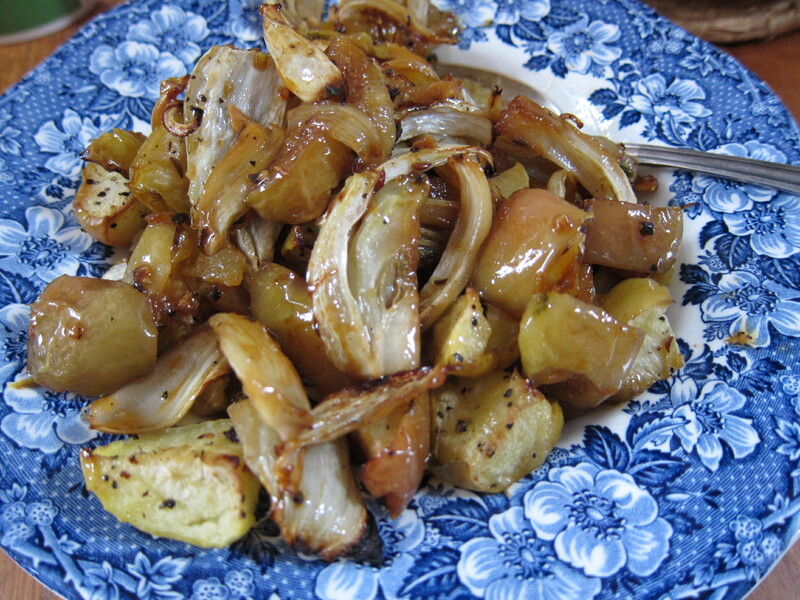 Carve into slices and serve with the roasted apples and fennel on the side. A great, simple, tasty sponge cake that you can whip up in a rush using simple store cupboard ingredients. No fuss. It tastes great with or without icing, and you can serve it with almost anything. The key to this cake is the whisking of the eggs and sugar to the ribbon stage. 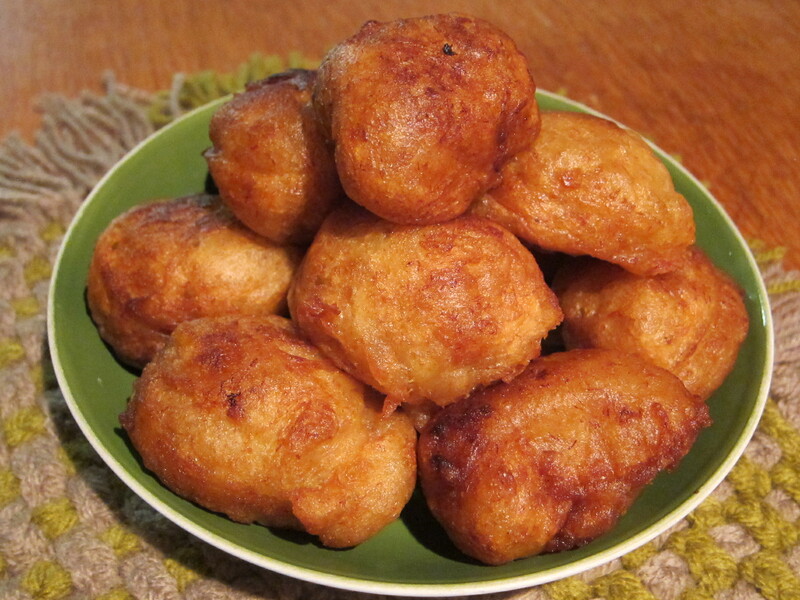 This incorporates a significant amount of air into the batter. Also, make sure to use a light hand when mixing the flour and to really make sure to beat the eggs well. 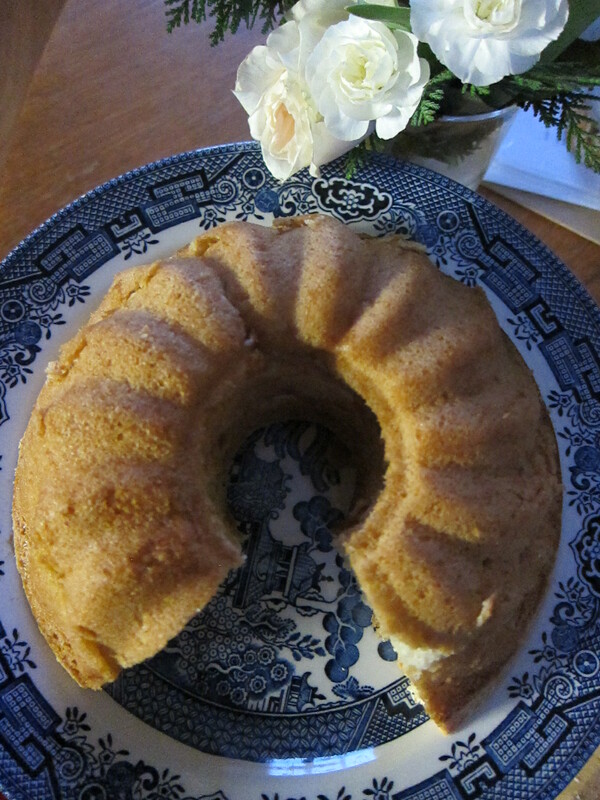 The result is almost like an angel cake, but with more depth. 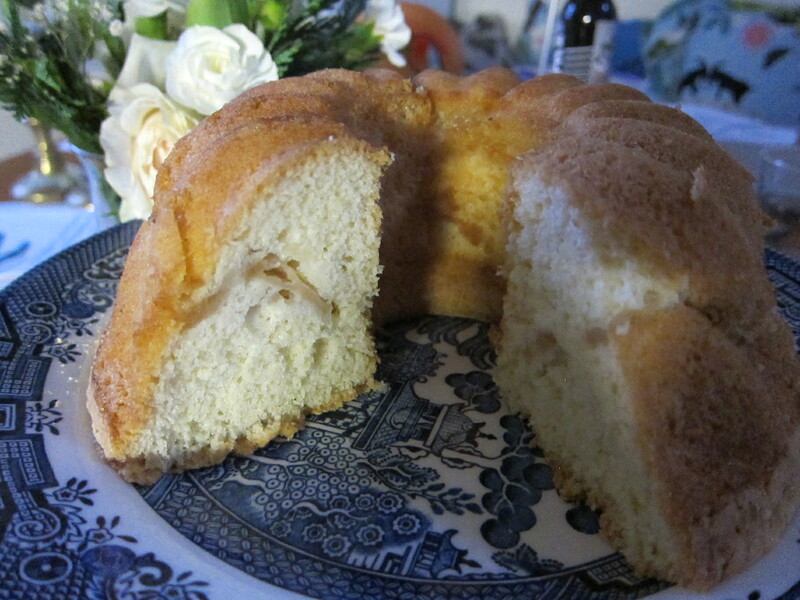 It won’t be moist like the butter cakes, but closer to a sponge cake. 1. Grease the cake mould with butter or, if you are using standard baking tin, butter it first and line the cake tin with parchment paper. Preheat the oven to 160°C. 2. Crack the eggs into a bowl and beat well. Add the sugar as you mix. Keep beating so that the texture becomes smooth and fluffy, about 5 minutes. 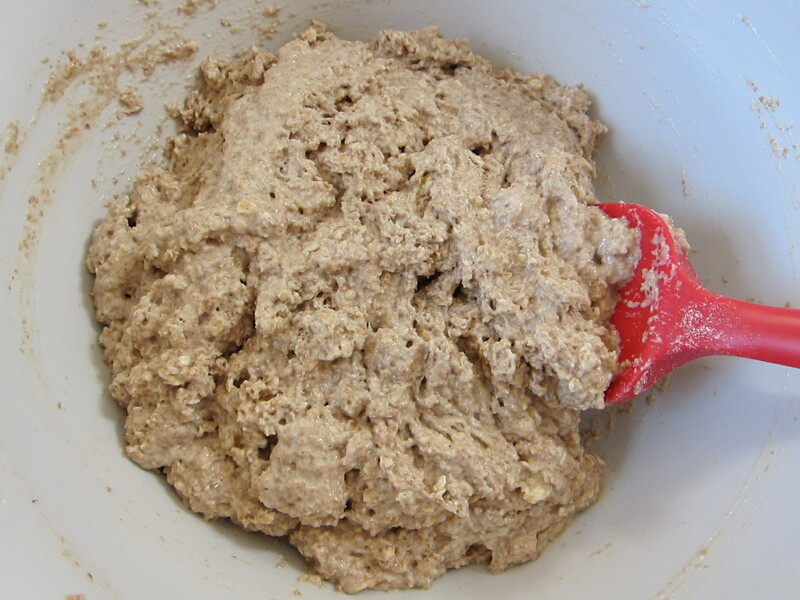 Beat until the batter forms ribbon-like when you lift the mixer and let the batter fall back into the bowl. Then turn down the speed to low and mix for another 30 seconds to even out the size of the bubbles. 3. Sift the flour into the batter. 4. Using the spatula, carefully fold the flour into the batter from the middle to the out side, scooping up from the bottom of the bowl. At the same time, turn the bowl towards you with other hand. 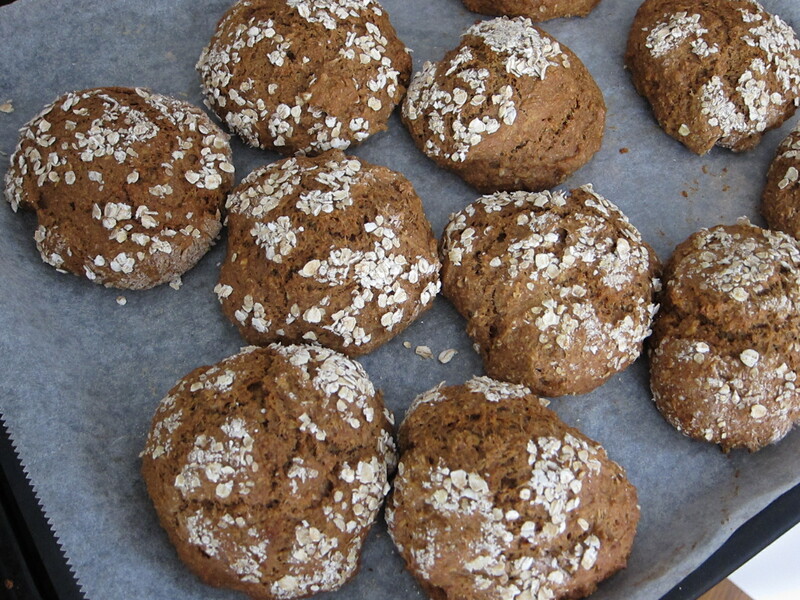 Make sure the flour distributes throughout the mixture, but do not over mix. 5. Pour into the baking tin. (If you are using the apples like I did, simply pour half of the mixture into the tin, then spread the lever of sliced apples and cover with the remaining of the mixture. 6. Drop the pan lightly around 2-3 times from a height of about 5 cm to remove any large bubbles. 7. Bake in the preheated oven at 160°C for 30-40 minutes. It is done when nothing sticks onto a skewer when you insert it into the cake (I baked for 35 minutes). Let it cook on a wire rack. 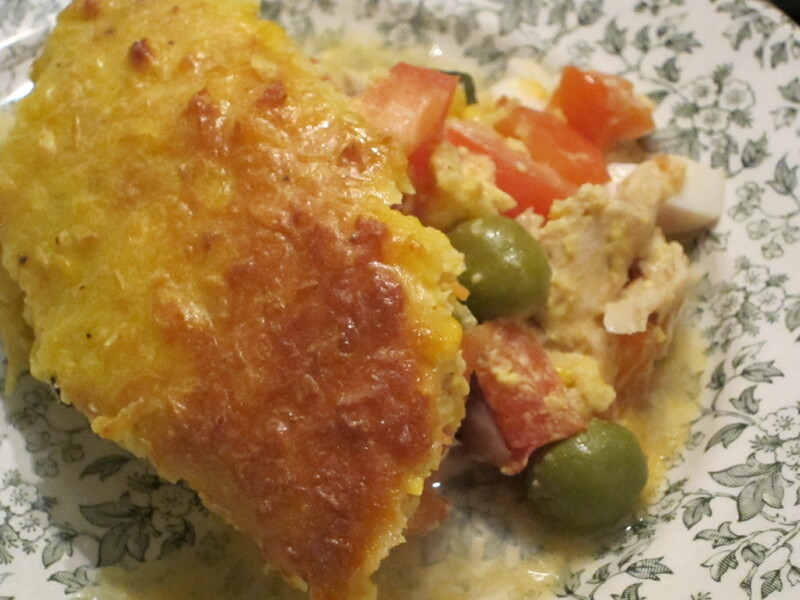 I’ve never been to Cuba or even to a Cuban restaurant, so I can’t claim that this dish tasted like an authentic one. Also I used the left overs from our roast chicken the day before instead of cooking a whole chicken like the original recipe asks for. But this recipe is great and I can’t recommend it enough. The filling inside the pie which includes capers, olives, raisins, fresh tomatoes and many other ingredients is so vibrant and provides a flavoursome contrast to the crisp corn topping. 1. Make the topping. Put the corn kennels into the food processor/blender and purée until smooth. Melt the butter in a pan over a low heat. Stir in the puréed corn and sugar. Season generously with salt and pepper and cook, stirring, for 10 minutes, until the mixture thickens and comes away from the sides of the pan. 2. Remove from the heat and leave to cool for 10 minutes, then slowly stir in the beaten eggs, a little at the time. Set the topping mixture aside. 3. Preheat the oven to 180C/350F. Heat the oil in a large frying pan and stir in the chopped onion. Cook gently for 5 minutes, until soft and translucent, season with salt and pepper to taste. 4. Stir in the chopped hard-boiled eggs, chopped tomatoes, olives, capers and raisins. 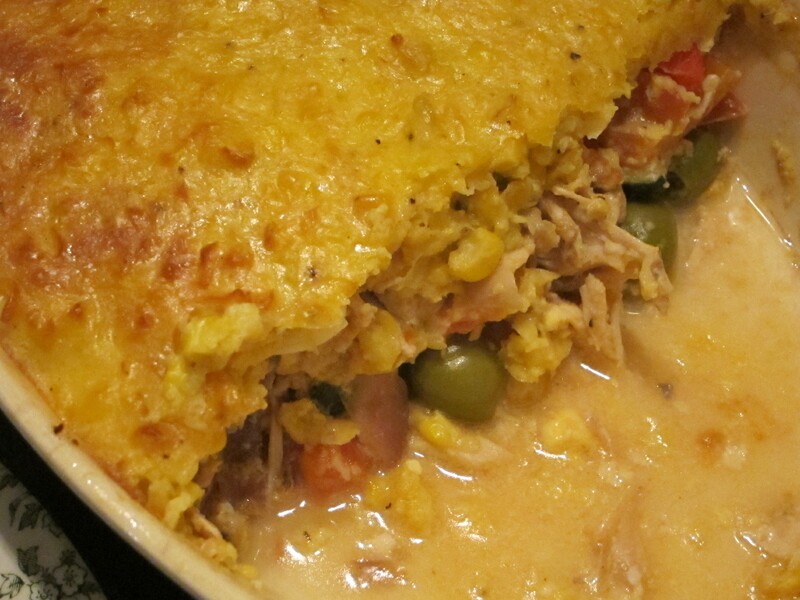 Fold in the shredded chicken, make sure that it is well distributed throughout the mixture. 5. Spoon the pie filling into a 25 x 20 cm baking dish (or its’ equivalent). Using a spoon, spread the corn topping evenly over the top of the chicken filing and bake for 45 minutes, until golden brown. Leave to stand for about 10 minutes before serving. It’s a long overdue post. I had a busy last few weeks, occupied mainly with work, freelancing and a few social activities. Mark cooked and baked most of the days and although my mind was busy with work, my hands were itching to make some sort of contribution (or maybe part of me was just scared that Mark will take over completely and one day access to the kitchen will be denied for me :)) Anyway, I had to do something and THIS SOMETHING had to be quick but delicious. well (it was DELICIOUS). I saw this recipe a while ago on fellow-blogger’s website. I always favour the recipes based on the simple ingredients, involving an easy technique but as a result you get something you never came across before. It was exactly the case and I made a note to myself to make Jemput Jemput Pisang one day. So I did and they were good! 🙂 And the great thing about these banana donuts is that the wet ingredient was 100% made up with mashed bananas! No any other liquid or even an egg. 1. In a bowl mash the bananas with fork. 2. Add the flour and combine thoroughly. You can add some sugar at this point if you wish but the sweetness of the over-ripen bananas can be sweet enough. 4. Once golden brown on both sides, place on kitchen paper towels. 1. Preheat the oven to 200C and line a tray with parchment paper. 2. In one bowl mix the dry ingredients together. In another bowl mix the wet ingredients together. Combine the two. Initially, the mixture will seem very wet and sloppy, but do not panic, keep stirring and very soon bicarb will do its magic and the mixture will thicken up and become more pliable. 3. 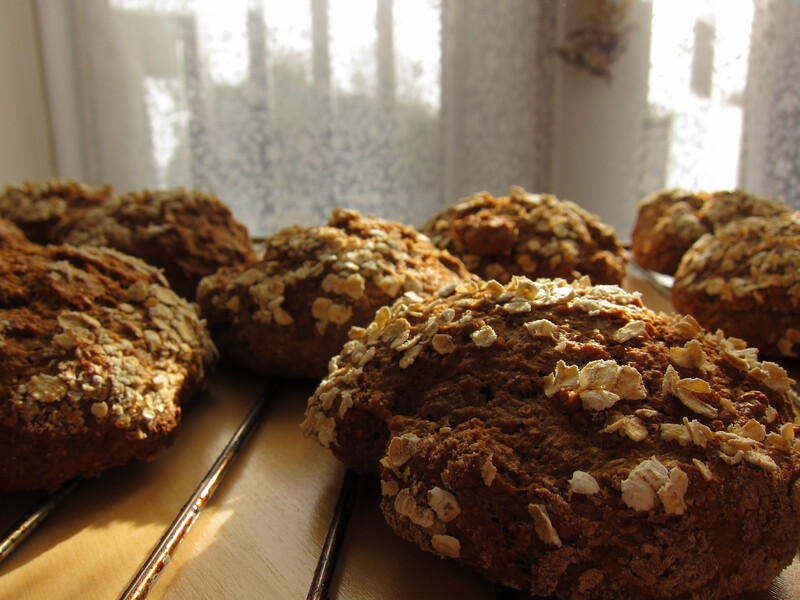 Using the soon or just your hands, shape the mixture into rough bun shapes, sprinkle with some oats on top. 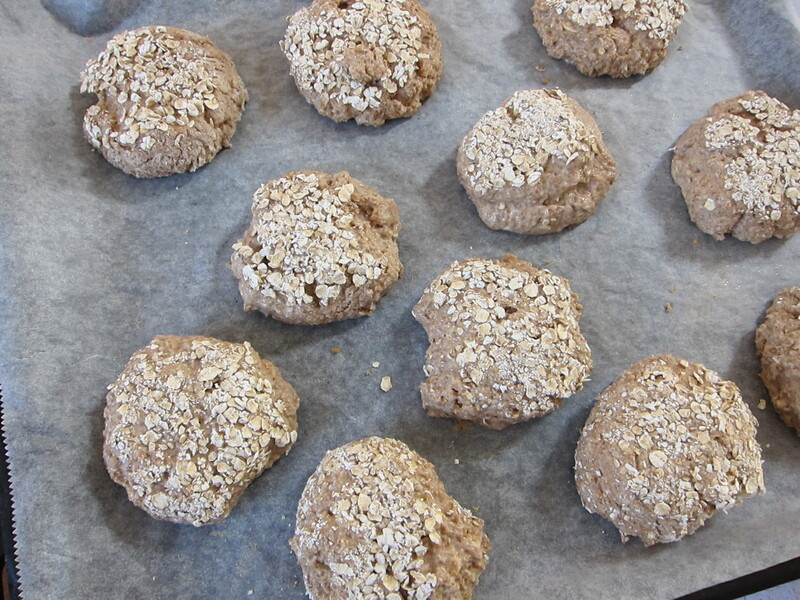 Bake it for about 20 minutes or until the rolls come away easily from the baking sheet and are shiny underneath. Transfer them from the tray to a wire rack just to cool a little. There was a program on TV this morning, explaining the origin of St. David’t Day and traditional Welsh food. They had laverbread (unfortunately, I’ve never tried it yet 😦 ), Glamorgam Sausages (which I’ve tried once and I loved it! ), Cawl (it is a Welsh stew with lamb and leeks), Welsh cakes and many other delicious and authentic food. I thought I have to make something today at least remotely close to Welsh cuisine. 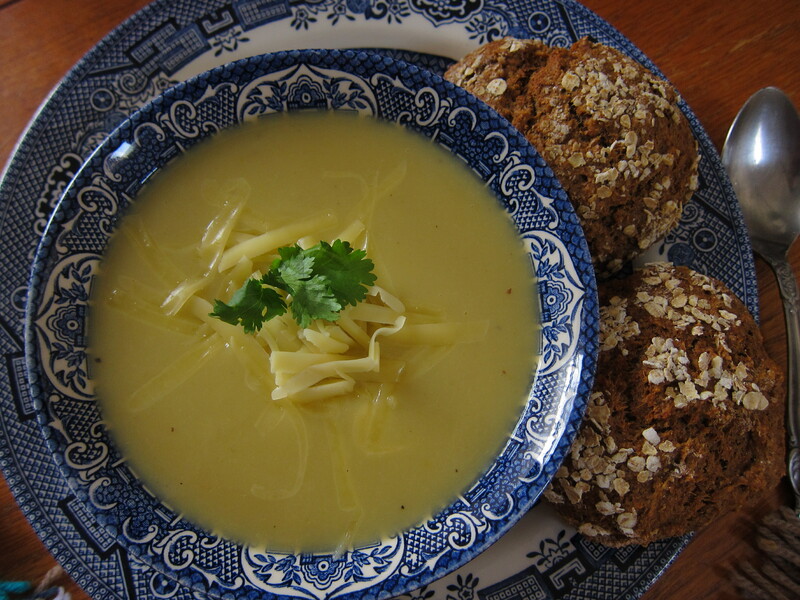 As I had a nice looking couple of leeks in the fridge and recently saw a recipe for Potato and Leek soup on Andrea’s blog here, decision was made quickly 🙂 I also made dinner rolls, based on stout and honey, to go with the soup. Although, in her recipe Andrea uses Stilton, which I love but we had only Cheddar today and it paired well too. Also, I didn’t have cream and I could supplement with some milk but after blending I had a taste and it was perfect as it was. 1. Heat the butter in a large pan and add the leeks. Cook for 3-4 minutes until starting to soften, add the potatoes and sauté for a few more minutes, after add vegetable stock, season well with salt and pepper. 2. Bring to the boil, reduce the heat and simmer until the vegetables are tender, for about 20-25 minutes. 3. Remove from the heat, whizz with a hand blender or in a blender until smooth. 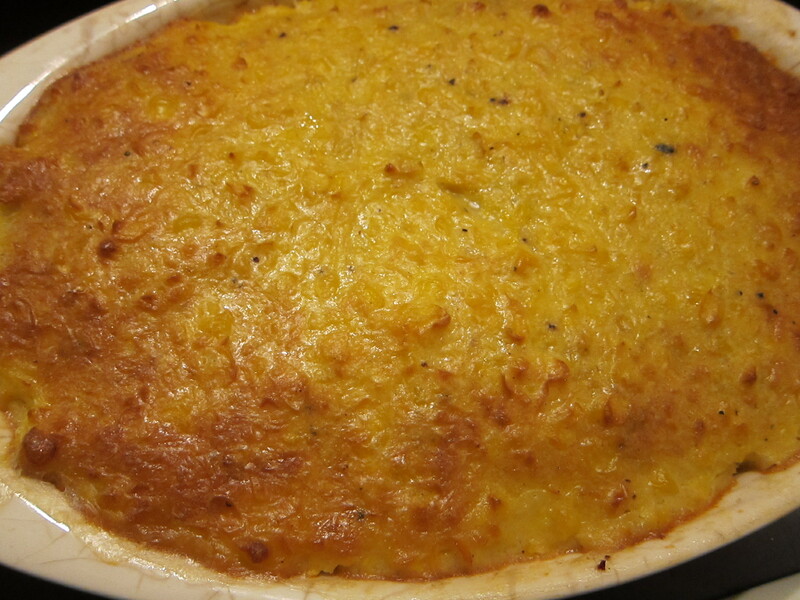 Serve with grated Cheddar (or Stilton, or any other your favourite cheese) on top, with some fresh crusty bread.